a sheer, tinted sunscreen fluid with 100% mineral filters to provide broad spectrum UVA/UVB protection, while promoting natural radiance and a more even skin tone without a white cast and is water resistant for up to 40 minutes. SkinCeuticals Phloretin CF - 30ml - $175.00 - a daytime vitamin C antioxidant face serum that delivers advanced environmental protection and remains effective for a minimum of 72 hours - it neutralizes damaging free radicals, improves the appearance of discolouration to even out overall skin tone and diminishes the appearance of fine lines. SkinCeuticals LHA Cleansing Gel - 240ml - $49.00 - an exfoliating gel cleanser that removes excess oil and makeup as it decongests pores, smoothes skin texture and brightens skin with a blend of salicylic acids to address breakouts and visible signs of aging. Prefer a cream cleanser? 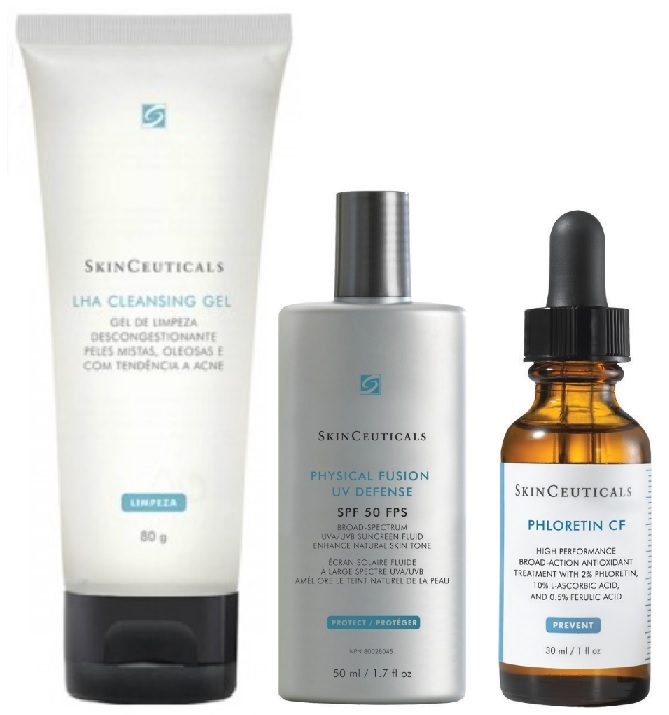 Then check out SkinCeuticals Gentle Cleanser my absolute favourite cleanser for taking off sunscreen! Available at SkinCeuticals dermaspas and online at SkinCeuticals.ca.